The small village of Kilmelford stands at the head of sheltered Loch Melford on the West coast of Scotland around 16 miles south of Oban. Situated in area of outstanding natural beauty, it is ideally located for those who wish to explore the hills on foot, or the surrounding coast and islands by boat. 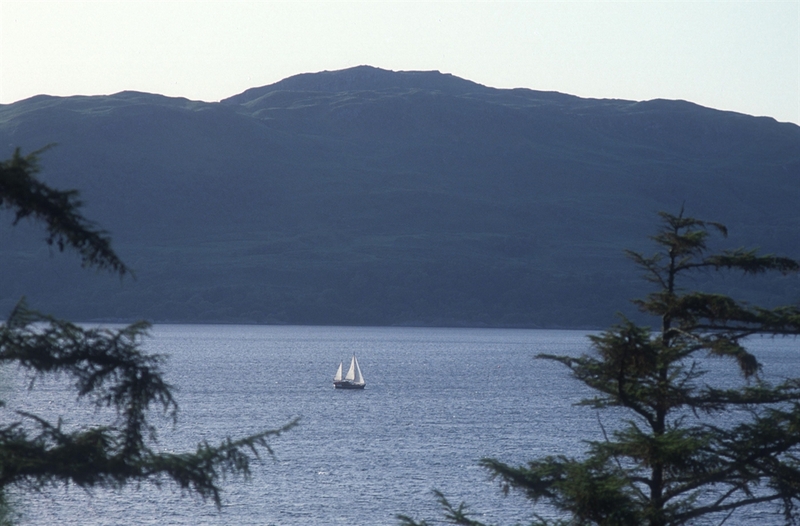 The sheltered anchorage of Loch Melford makes the village a popular haven for the yachting community visiting Mull and the islands of the Inner Hebrides. With many miles of excellent walks with stunning views over the surrounding countryside and coast, it is hard not to fell in love with this place instantly. The town has an enviable reputation for wild brown trout fishing on the many hill lochs around the area too and sea fishing in the area also offers a great variety of species. At the National Trust for Scotland’s gardens at the nearby Arduaine, a few miles south of the village, the spectacular rhododendrons bring enthusiasts from far and wide, while the azaleas, magnolias and many other shrubs fill the garden with scent and colour. VisitScotland, all rights reserved. 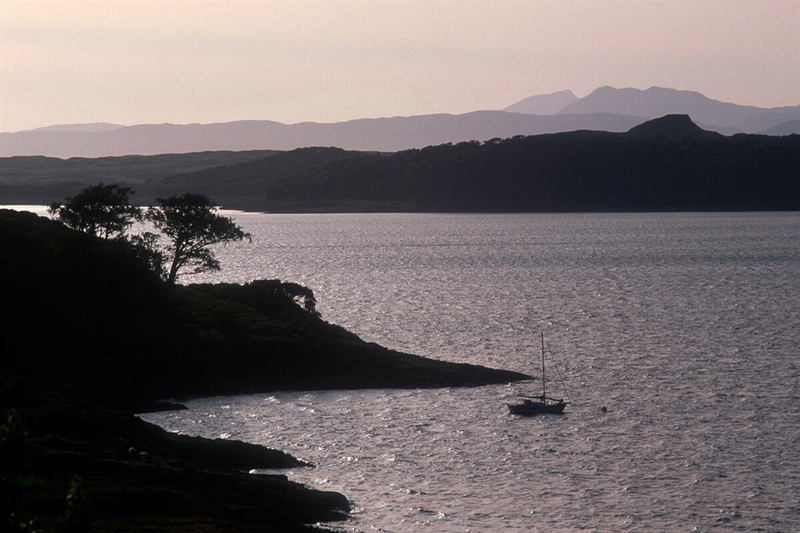 Looking along the silhouetted shoreline at dusk, where a small yacht is moored on loch Melfort, with a view to the hills beyond. VisitScotland, all rights reserved. Looking along the silhouetted shoreline at dusk, where a small yacht is moored on loch Melfort, with a view to the hills beyond. VisitScotland / Paul Tomkins, all rights reserved. 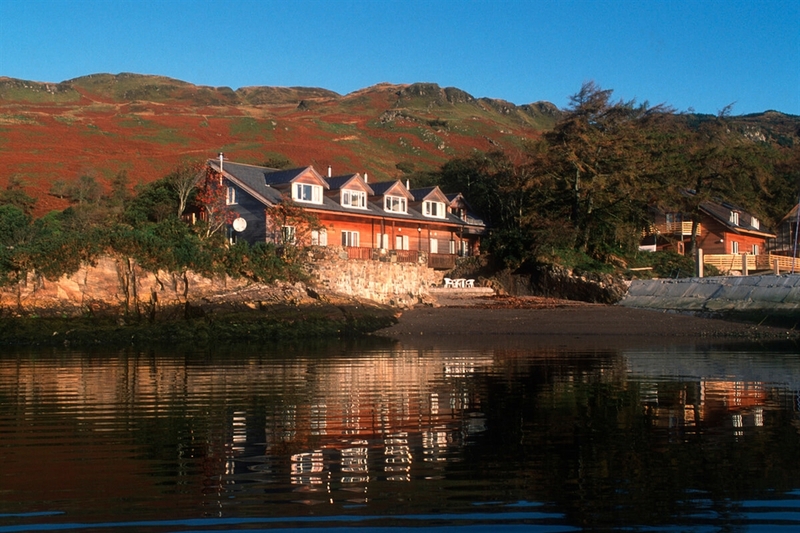 Self-catering accommodation at loch Melfort, sitting right on the edge of the water, with reddish bracken-covered hills behind.